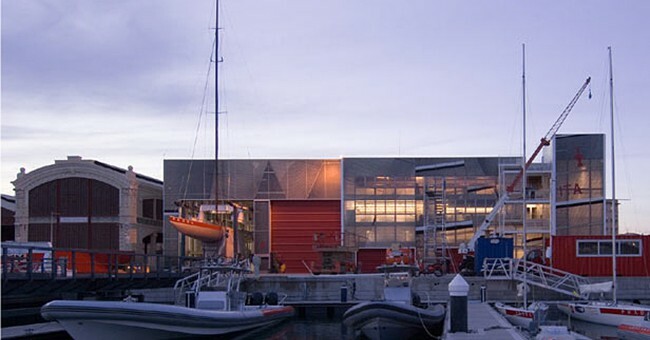 The project for the Luna Rossa team base was designed by architect Renzo Piano based on the idea of recycling the sails of the sailing yachts that took part in past editions of the America’s Cup. The idea emerged from an exchange of views between the architect, who had always been a sailing enthusiast, and Patrizio Bertelli, the patron of Luna Rossa: they wanted the Luna Rossa base to somehow recall the regattas. 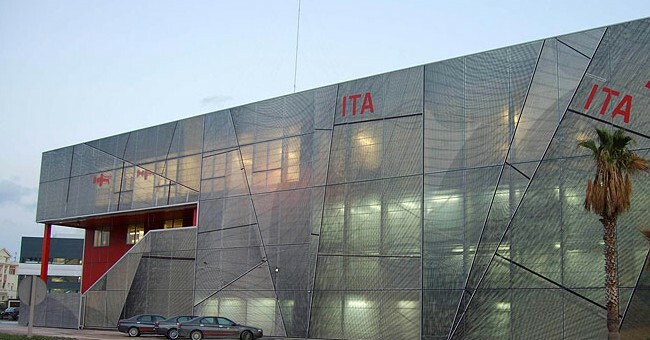 The choice of using old sails as a building material was natural: no other material looked as appropriate for the Luna Rossa team’s operational base for such an important sailing event. The transparency of the sails against the horizon is perhaps the most fascinating image evoking a sailing boat, so each façade was designed as a sort of patchwork made of mainsails and jibs, which were cut and sewn together on a rectangular warping formed by frames. The frames, joined to a supporting substructure, constitute the façade system. The panel was stretched on the frame, which had appropriate slots, to accommodate a silicone edge sewn on the perimeter of the sail. Elastomer, in fact, is a material working like a spring that enables to obtain uniformly pre-tensioned elements which can be stretched to absorb loads and are able to react to thermal expansions, then returning to their original state. 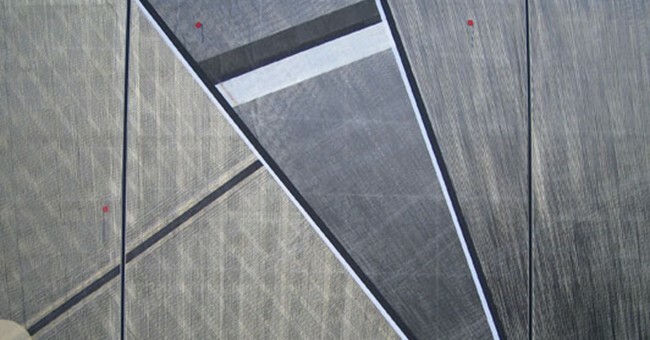 The sail was applied on a 4 cm substrate made of alveolar polycarbonate with double-sided acrylic adhesive tape, so that the panel could be more resistant. 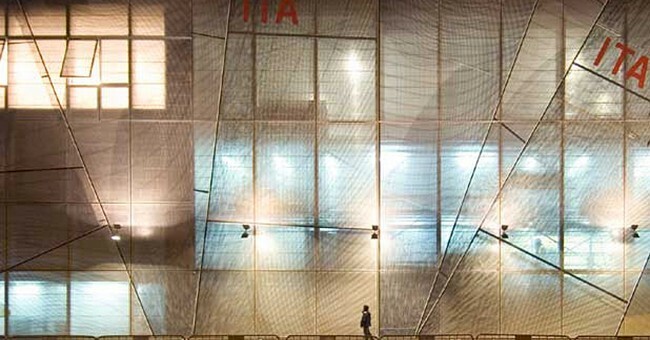 The sail, a transparent mylar film on which carbon and kevlar fibre structures were inserted, allowed natural light in the building during the day and lighted up as a “lantern” during the night, thanks to a backlighting system. The result was really magical!